- Calibration: precision potentiometer. The display will show zero position. 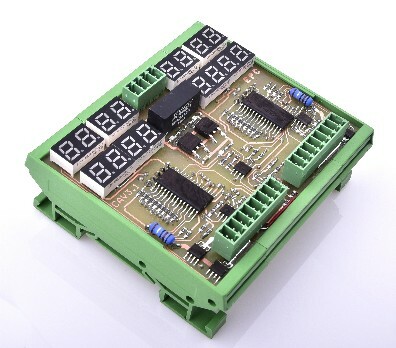 - Protection: against short-circuit, current limitation, temperature monitoring. - Control method: double digital (pulse-controlled mass). - Feedback: reading position of the valve (activated by jumper) or valve current measurement (selected by jumper). 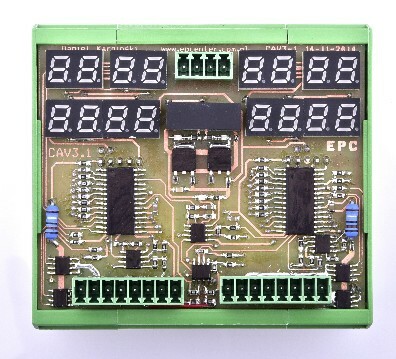 - Display: 2x 7seg shows the input voltage (-9.9 to 9.9 Vdc) + 2x 7seg shows the opening of the valves (-99% to + 99%). - Cooling: none (not required). - Has not yet produced. - Compatible valves: Bosh, Rexroth, Hoerbrigger and the like (suitable for valves with feedback and without).